The Indian Government unveiled the Direct Tax Code (‘DTC’) 2009 along with a discussion paper for public comments to replace the Income Tax Act, 1961 and the Wealth Tax Act, 1957 in August 2009. However, in August 2010, Government tabled revised DTC 2010 in Lok Sabha which was then referred to the Standing Committee on Finance for its review and comments and the same submitted its report to Parliament on March 2012. The Finance Minister now released DTC, 2013 for public discussion on 1st April 2014. As per news report, out of 190 recommendations made by Committee, the Finance Minister accepted 153 either wholly or with partial modification. The new tax code is meant to create an efficient direct tax system by replacing the archaic Income Tax Act. ♦ Raising of Exemption limit to Rs 3 lakh not acceptable: Though the standing committee of finance recommended raising the income tax exemption limit to Rs 3 lakh, revised tax slabs for personal income tax and removal of cess not accepted by Finance Minister as it would result in huge revenue loss of around Rs, 60,000 crores. ♦ Abolition of Securities Transaction Tax not acceptable: This recommendation is not acceptable as rate of tax already been reduced significantly in Finance Act 2013. ♦ Higher Tax Rate, 35% for individuals/HUF having income exceeding Rs 10 crore: With a view to maintain overall progressivity in levy of income-tax, the revised Code provides for a fourth slab for individuals, HUFs and artificial judicial persons. ♦ Interest deduction on loan for self occupied property: For the purpose of deduction in respect of loan taken for self occupied house property, the loan given by employer should also qualify for this concession. ♦ Minimum Alternative Tax (MAT): MAT is levied if the tax liability under the regular provisions is lower than 18.5% of book profits (after prescribed additions/ deletions). DTC 2013 proposes to levy MAT @18.5% as compared to 20% in DTC 2010. The provisions of MAT applicable to Insurance, Banking and Electricity companies as well. However, income from life insurance companies business is not covered under MAT provisions under DTC 2013. DTC 2013 proposes to introduce the concept of Alternate Minimum Tax (AMT) applicable to firm in line with existing provisions under the Act. AMT is levied @18.5% if tax liability under the regular provisions is less than 18.5% of adjusted total income. As far as carry forward of MAT credit is concerned, DTC 2013 propose to allow MAT credit for 10 years as compared to 15 years prescribed under DTC 2010. The Income-tax Act, 1961 provides for the taxation of interest payable by the non-resident in respect of debt incurred and used for the purpose of business carried on by non-resident in India. DTC 2013 expanded the scope of the above mentioned provision to include interest payable by the non resident in respect of debt incurred and used for the purpose of earning any income from any source in India. Analysis: DTC 2013 proposal extended the scope of taxability of income in India. ♦ General Anti-Avoidance Rules (‘GAAR’): GAAR were originally introduced in DTC 2009. Subsequently, GAAR has been included in the Act with certain modifications. Under the Income Tax Act, 1961, the entire arrangement may be declared as impermissible arrangement even if a part of arrangement is impermissible arrangement. The Standing Committee of Finance had proposed that only such part of the arrangement would be invoked which is proved as ‘impermissible’ and not whole of it. DTC 2013 proposed that entire arrangement may be declared as impermissible arrangement even if a part of arrangement is impermissible arrangement. The Standing Committee of Finance had recommended that the onus of proof should rest on the tax authority invoking the provision of GAAR. DTC 2013 proposes to rest the onus of proof on the taxpayers. DTC 2013 proposed that in case of indirect transfer of asset situated in India if 20% of the total assets of company are located in India, then the income arising from such transaction will be taxed in India. Analysis: This move seems aimed at making sure India to get its due when foreign companies buy sell subsidiaries or units that are based in India For instance, Vodafone which enters India in 2007via Hutchison Whampoa deal, is contesting a tax bill of about 112 billion rupees relating to acquisition. The Indian Supreme Court ruled in 2012 that Vodafone was not liable to pay any tax over the transaction but the government changed the rules allowing it to make retroactive tax claims on completed deals. As per DTC 2010, indirect transfer should be taxed in India if the companies involved should have at least 50% of their assets located in the country. Analyzing the same, 50% threshold is too high, there could be situation that a company has 33.33% assets in three countries but it will not get taxed anywhere. Contrary in DTC 2013, companies with as little as 20% of their global assets in India could find themselves facing tax bills in deals involving their domestic units under changes done in DTC 2010. As per Companies Act, 2013, every company on fulfilment of certain conditions is required to incur expenditure on CSR. There is no specific provision to allow such expenditure either in the Income Tax Act, 1961 or DTC 2010. DTC 2013 does not provide for allowability of CSR expenditure. The website of income tax department, i.e. www.incometaxindia.gov.in , provides a rational that CSR expenditure cannot be allowed as a business deduction as it is an application of income. Further, allowing the same would imply that the government would be contributing 1/3 of this expenditure, as revenue foregone. DTC 2013 proposed to levy of 10% additional dividend distribution tax on the resident taxpayers if the total dividend in recipients hands exceeds Rs 1 crore. Analysis: Under Income Tax Act, 1961 and also in DTC 2010, the dividend distribution tax is to be levied at 15% tax rate. This favours high net worth taxpayers who pays only fraction of their earnings as tax on their investments in the capital market. The draft DTC 2013 proposed to remove this analogy. DTC 2013 provided that a foreign company is considered to be resident in India if its Place of Effective management at any time in the year is in India. The term ‘Place of Effective management’ is defined as the place where key management and commercial decisions that are necessary for the conduct of business of an entity as a whole are in substance made. The definition of Place of effective management has been changed from DTC 2009 & DTC 2010. This change is in line with the Standing Committee of Finance recommendation that the term ‘executive directors’, and ‘officers’ may be removed from the definition of Place of Effective management and the definition should be more objective and in line with internationally accepted standards. However, under the Income Tax Act, 1961, foreign company is treated as resident in India only when its place of control and management of its affairs is situated wholly in India. DTC 2013 provides for weighted deduction of 150% for in-house scientific research as compared to 200% in DTC 2010 and also provides for weighted deduction of 125% to donor on any donation made by it to the specific institution to be utilised by them in scientific research in DTC 2013 as compared to 175% in DTC 2010. ♦ DTC 2013 does not provide for Settlement Commission machinery as it has not achieved its intended purpose of early settlement of cases and additional revenue realization. 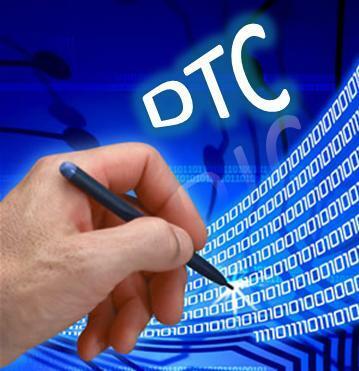 The DTC 2013 drafted keeping in mind the prevailing Act, DTC 2010 and the loopholes which existed in the Act. The proposed direct tax code provides better and more efficient tax structure by eliminating & reducing loopholes prevailing at present in economy. Readers requested to note that DTC 2013 proposed lots of recommendations and the highlights mentioned is an inclusive list of the same. For reading the full context of proposed Direct Tax Code 2013, readers requested to please visit the income tax website. Please note the above article does not belong to us. Just for the purpose of sharing valuable information to our members, we have taken this article from other resources.